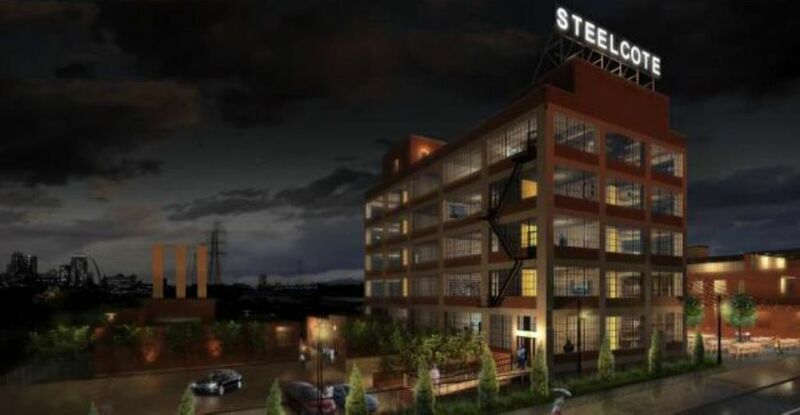 CHICAGO – September 21, 2018 –Historic rehabilitation of the former Steelcote Manufacturing Paint Factory, 801 Edwin Street in St. Louis, recently commenced following the completion of a $5 million loan and $1.3 million of Historic Tax Credit (HTC) equity from Associated Bank. The project was approved by the St. Louis Midtown Redevelopment District. The first three floors of the Steelcote plant were completed in 1924, and the top two floors were finished in 1929. Due to its age, design, and historic use as the former headquarters for the Steelcote Paint Manufacturing Company, the building is listed on the National Register of Historic Places. Vacant since at least 2006, Pier Property Group acquired the building in 2018. The 42,000 square foot building will be renovated into 33 residential two-story loft units with 15 indoor parking spaces. Steelcote Lofts' unit amenities will include oversized window bays, polished concrete floors and stone countertops. A lobby lounge and rooftop deck with a grilling station and panoramic views of St. Louis are among common area amenities. Upon completion of the rehabilitation, total costs including acquisition, are projected to be approximately $9MM. Renovation is expected to take approximately eight months. Pier Property Group (PPG) is a private real estate company that focuses on the acquisition, renovation, and management of historic buildings. Founded by Michael Hamburg in 2016, PPG specializes in development opportunities that utilize public/private partnerships and creative financing and dedicated to finding ways to preserve underutilized structures through adaptive reuse projects that honor historical significance. Jodi Cloninger, senior vice president for Commercial Real Estate, handled the loan arrangements and closing and Teresa Rubio, senior vice president for Associated Community Development, managed the equity investment. Associated Banc-Corp (NYSE: ASB) has total assets of $34 billion and is one of the top 50 publicly traded U.S. bank holding companies. Headquartered in Green Bay, Wisconsin, Associated is a leading Midwest banking franchise, offering a full range of financial products and services from more than 230 banking locations serving more than 110 communities throughout Wisconsin, Illinois and Minnesota, and commercial financial services in Indiana, Michigan, Missouri, Ohio and Texas. Associated Bank, N.A. is an Equal Housing Lender, Equal Opportunity Lender and Member FDIC. More information about Associated Banc-Corp is available at www.associatedbank.com. Associated Bank, N.A. is an Equal Housing Lender, Equal Opportunity Lender and Member FDIC. More information about Associated Banc-Corp is available at www.associatedbank.com.